Tourist attractions featured in the Seminyak area is the white sandy beach, stretching beautifully from North to South facing toward the West, so that the main attraction of the beach Seminyak Bali is ideal once to witness the beauty of the sunset, the atmosphere of the beach is quieter than its neighbor Kuta and Legian, you are want to discover the full beauty of it can be visited here. 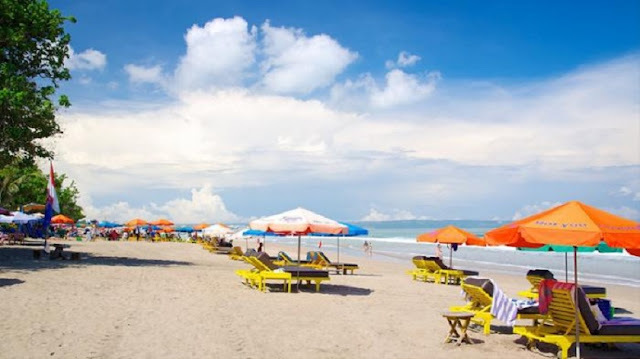 Seminyak Beach became one of the attractions in Bali, easily accessible, the potential of the beauty which is a major attraction for tourists to visit. Originally this area deserted visitors, approximately a population of more as a fisherman, but the rapid development of tourism and increase tourist visits to Bali, especially areas of Kuta and Legian, giving major influence to the Seminyak area as well. Seminyak Beach get back on its feet, equipped with various facilities and supporting infrastructure for tourism, so the area is now an area nearly the same other tourism, growing quite rapidly, various types of accommodation especially private luxury villas can be found in this region, including various types of international restaurants are centered in Seminyak, including Seminyak beach gets crowded with tourists, although it is not as busy as Kuta beach. Region of South Bali is known to have a beautiful beach, which is why this area has always been a priority goal tours in Bali for travelers who like to travel the coast, the amount of drag beach can be visited as Tanjung Benoa, Nusa Dua, the Pandavas, Uluwatu, Dreamland, Jimbaran, Kuta Seminyak travel beach. All the white sandy beaches with different characters. Seminyak beach itself is a beach with Kuta and Legian, so the character is almost the same, and soft white sand beaches, the surf is also quite big so suitable for surfing, swimming or just relaxing alone, enjoy treats sunset or even as a recreational fishing. Natural shades presented here is to present the beauty, the beach is clean and well organized, some people also provide a beach umbrella place to relax throughout the day to avoid the sun. Seminyak Beach is located between the beach Petitenget and Legian, travel maps Bali and even the region Petitenget also entered the Seminyak area close together, so that the area covered is quite extensive, in the Seminyak area you can find things for your holiday needs such as lodging two types of private villas, hotels, bungalows, and guesthouses. Seminyak Beach is located between the beach Petitenget and Legian, travel maps Bali and even the region Petitenget also entered the Seminyak area close together, so that the area covered is quite extensive, in the Seminyak area you can find things for your holiday need such as lodging two types of villas personally, hotels, bungalows, and guesthouses. 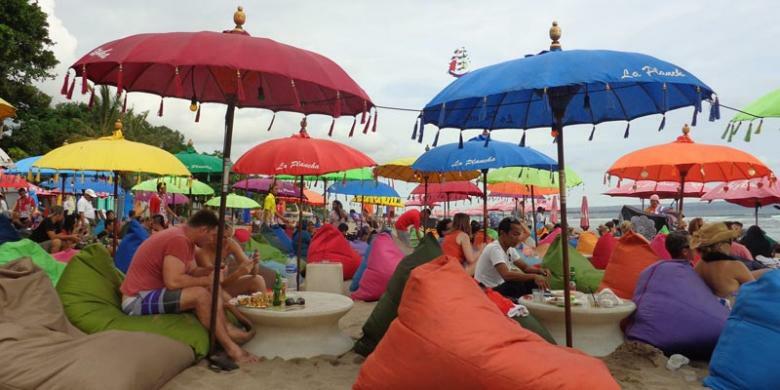 Attractions in Beach Seminyak Bali is easily accessible in the street with paving blocks are reserved for pedestrians easy access to this area. Seminyak highway is the only access to the beach and the main access points to the area of Legian and Kuta, so prone to congestion, if you want to visit the region is more advisable to rent a motorbike fee of 60,000 rupiahs/day. On the beach, Seminyak Bali, vehicle parking is provided at the shoulder of the road. As well as other attractions in the area Bali, Seminyak beaches to visit are not charged an entrance fee, only parking fees, free travel and a place you must visit. Tourism activities in this area not only in coastal areas only. Seminyak is also famous for a special meal, you probably already know the attraction famous Jimbaran seafood with a variety of food, but Seminyak has everything, a wide variety of dishes from around the world and international standards can be found in this region. Likewise, a number of very famous nightclub and prestigious to be found in this region. Seminyak Bali is known there are many luxurious private villas available for tourists who want maximum luxury and privacy. If you want a more quiet atmosphere and adjacent to the centers of tourism in Bali, Seminyak could be an ideal place to stay. 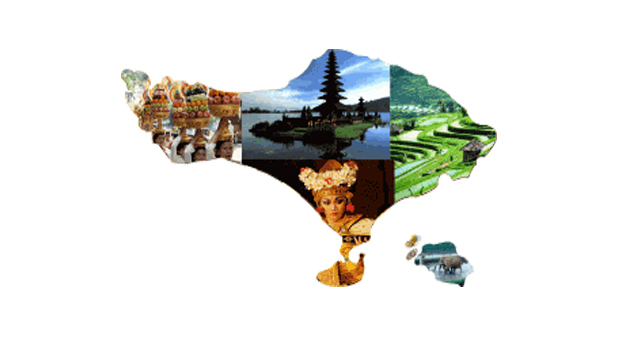 strategic location distance from the airport takes about 30 minutes to get to Canggu and Kuta is only 10 minutes by car, nearby attractions in this area is a three-dimensional painting museum DMZ Bali.